Before the show while outside for smoking. Loved her outfit and sincerely hope that we were not too intrusive there at the backstage exit. 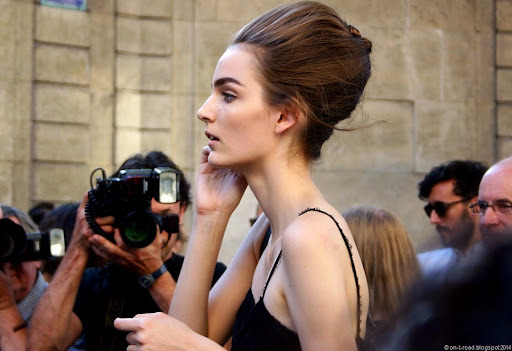 I had such a great time in 2011, when Paris was so terribly hot and I took my first pictures outside at Fashion Week. Old camera, old lens, old editing programme.